Description : Fabulous Exclusive Dual Signed On-Site poster from the MGM Grand Las Vegas. Another great event, that I was so happy to be in attendance. 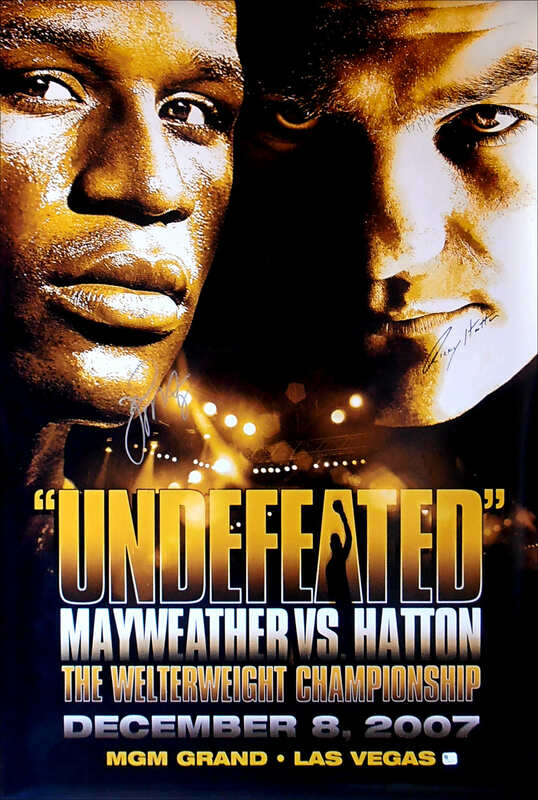 I got Floyd to sign this poster at the Mirage Jet Nightclub after-fight victory party. Ricky had signed this pre-fight for customerch, the official memorabilia supplier's at the MGM Grand. This had to be one of my best 5 day 25/7 blastout's! 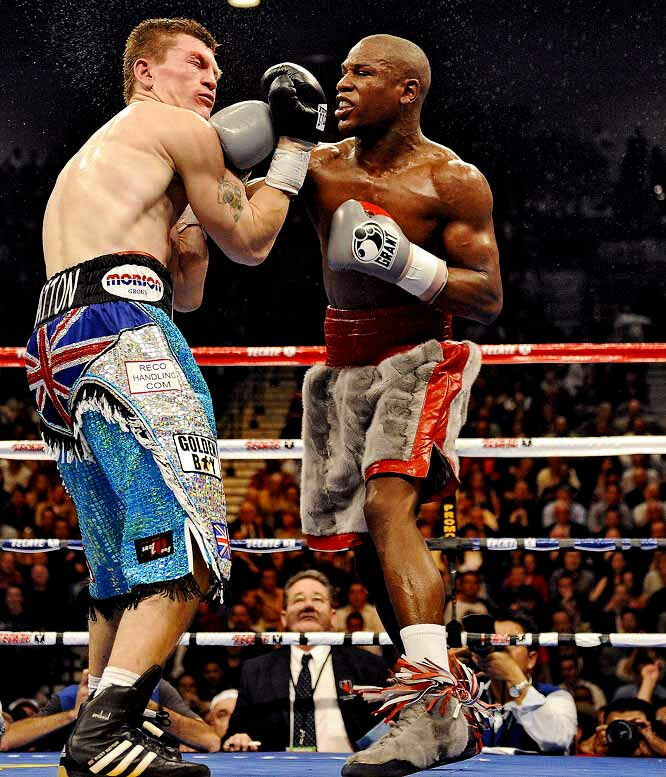 more than 35,000 flew in from all over the globe to see Ricky go at it with Floyd. Shame about the result but the party atmosphere was heroic. 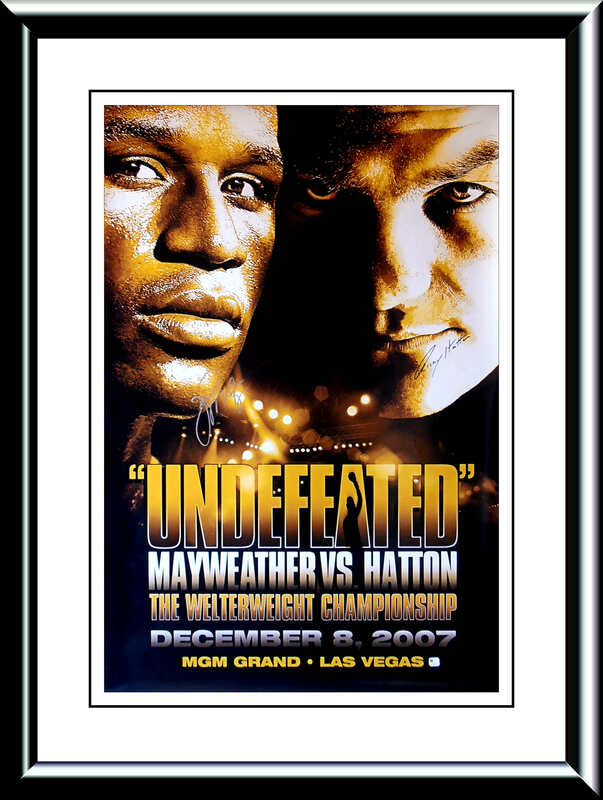 This authentic Floyd Mayweather Jr & Ricky Hatton autographed onsite poster from the MGM Grand Las Vegas is accompanied with a Global Authentics Cert & a LOA lifetime guarantee of authenticity from KOfightposters. Postage: £10.00 Special Delivery... £20.00 International registered signed 4 airmail.